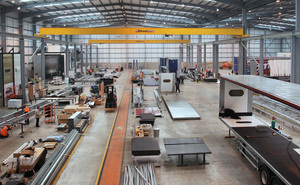 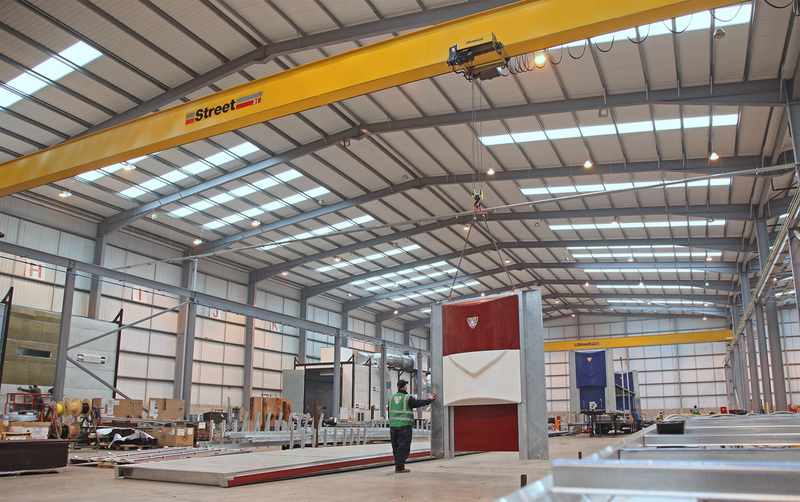 Vehicle body builder Tiger Trailers has selected overhead cranes from Street Crane Company as an integral element in the production system at its new factory. 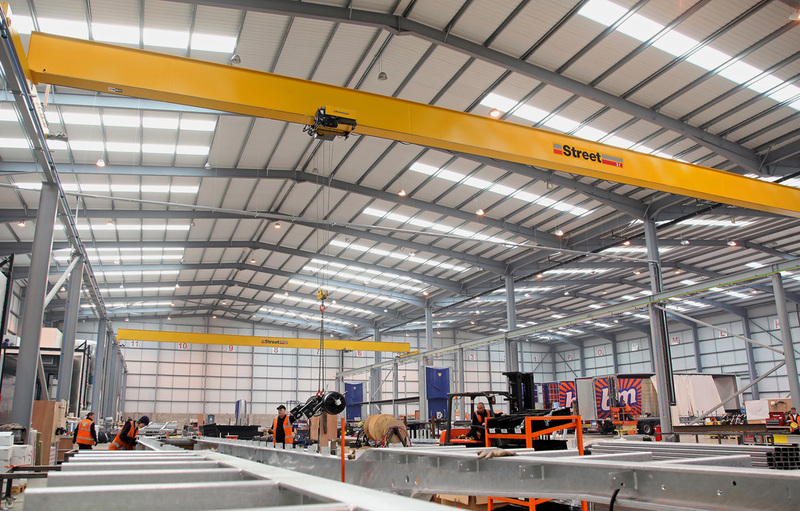 One five tonne and two three tonne overhead cranes were initially installed to ensure efficient materials handling. 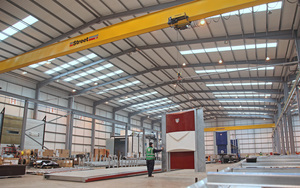 An additional five tonne crane has now been ordered to increase handling and lifting capacity. 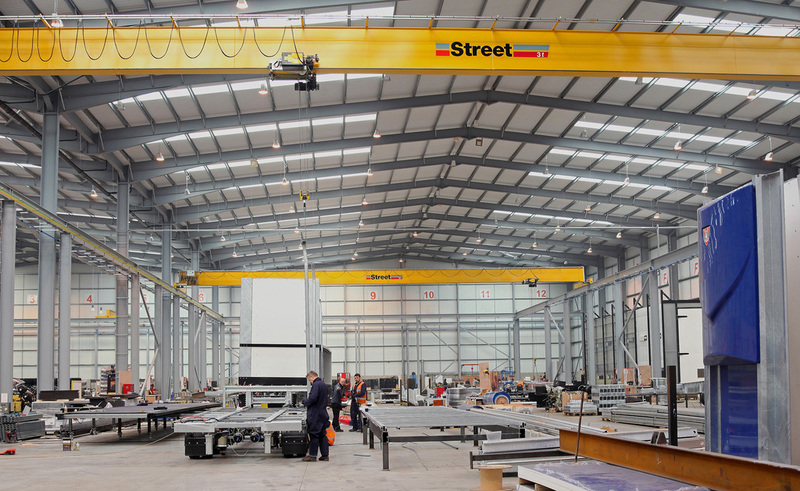 The cranes are all single girder, box beam, units fitted with Street’s advanced ZX series low headroom hoists. 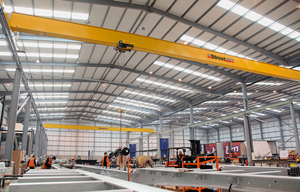 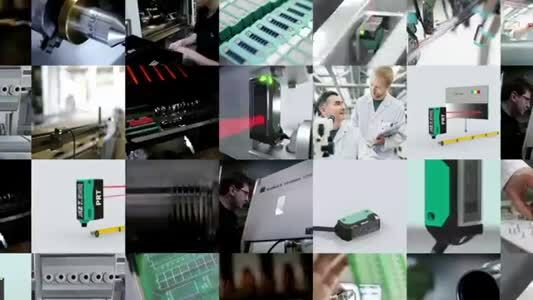 Cranes in each bay work independently from a common gantry and so have anti-collision systems installed.